The snaking road stretched before us, bordered by parched mountain-sides weighed down with resilient virescent fir trees. The temperature on the dashboard climbed steadily and as we zigzagged through the narrow mountain pass. I looked out the back window, watching a dreary haze hover over the countryside. 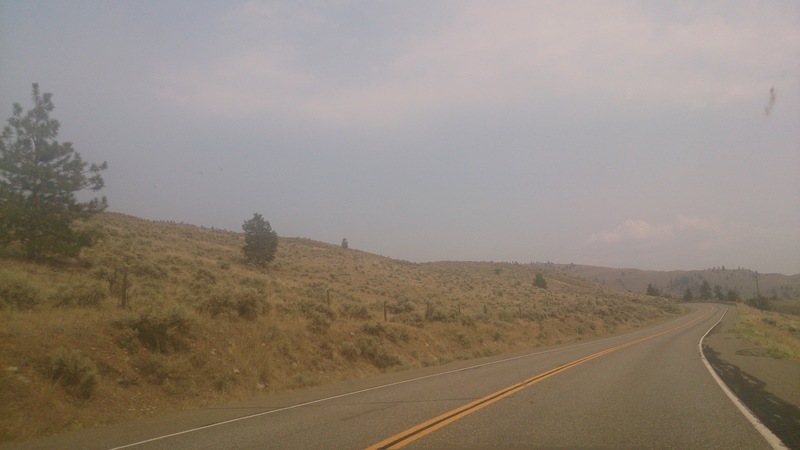 The miles clicked by and the leafy scenery thinned out to auburn dirt interspersed with sagebrush as we drew closer to Naramata, an arid region nestled in the heart of the Okanagan-Similkameen valley of British Columbia. Small communities popped up with lush vineyards shimmering against the crimson backdrop of the mountain peaks. 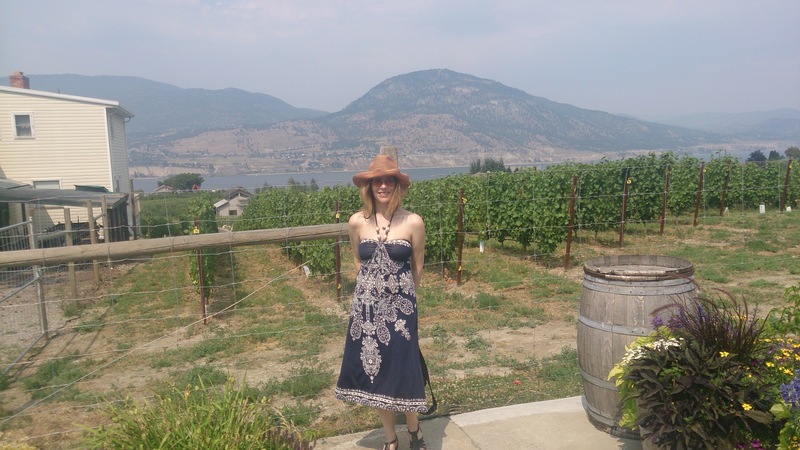 Osoyoos, a small town thriving in the midst of wine country, welcomed us with the sizzling temperatures of summer. I was delighted to see clear skies overhead. It was the first time in days I saw the cool sapphire of the heavens. Our vacation couldn’t have come at a better time. Our home in the harbour city of Vancouver B.C. had been stifled with smoke and ash from the multitude of wildfires burning throughout our province. The marine air was choked with fine particulates causing authorities to issue an air quality warning for children, the elderly and those with chronic illness. When I stepped outside, I was instantly bombarded by the charred scent of campfire. The Martian-red sun was barely visible behind the haze. Tiny fragments floated in the oppressive air, lighting on my skin and disintegrating into ash. I found myself to be one of many confined indoors, avoiding the sticky atmosphere that pressed heavily on my chest. I was suddenly reminded of how vulnerable RA makes me. My joints were not the only things at risk – the inflammation of RA has the potential for triggering complications in other organs (heart, lungs, eyes, skin, liver and kidneys). Add to that the side effects of various medications that suppress the immune system and suddenly, I was susceptible to a range of possible complications. Two years ago, on the same journey, a vicious rash erupted over my upper body. My neck, chest, arms, and stomach was swathed with red tiny bumps. This was my first experience with sun sensitivity side effects from certain arthritis medications. My fair skin already put me at risk for sunburn and the threat of skin cancer, and now my medications were providing extra ammunition. UV rays have grown stronger as the earth adjusts to rising temperatures and the smoky haze blocking our sun is a deceptive mask for ultraviolet rays. In this season of smoke and fire, not only do I have to navigate the symptoms of my disease, I have to be on guard against random side effects from my medications. It can sometimes make me feel like I’m living in a bubble trying to avoid the hazards of my journey with chronic illness. Armed with a large floppy hat, UV rated sunglasses and a high concentration of sunblock, we left our smoke infested city behind and spent a delightful couple of days comfortably exploring the vineyards, wine tasting and enjoying the arid beauty of the desert. I sat under cover, shielding myself from the harsh rays of the fervent sun, monitoring my skin for any signs of unexpected outbreak. On our last evening the winds changed, and the smoke blew into the wine-soaked valley. I crawled back into my bubble and drove away, once again leaving the blistering haze in the background. We arrived home in Vancouver, pleased to find white puffy clouds cooling our scorched land and chasing away the smoke-filled haze. The fresh marine air washed away the ruddy sand, leaving me with the smug satisfaction of having escaped my bubble of RA for a little while.